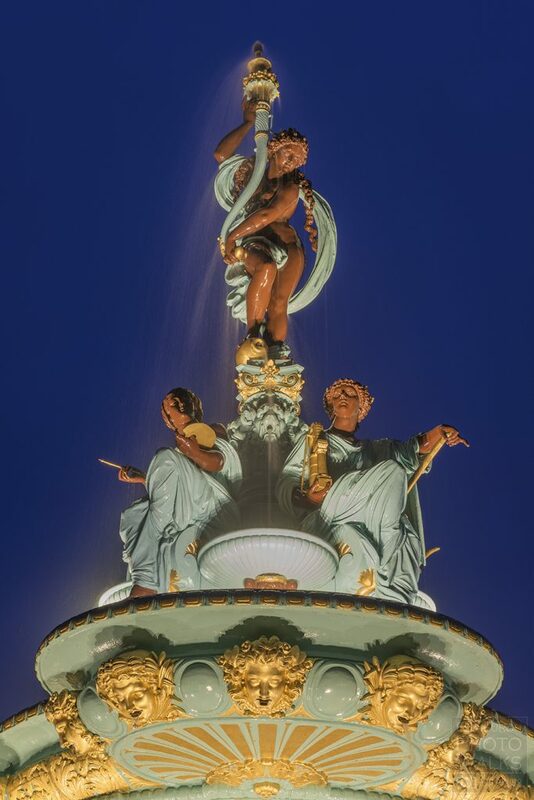 Thanks to The Ross Development Trust The Ross Fountain is now illuminated at night. 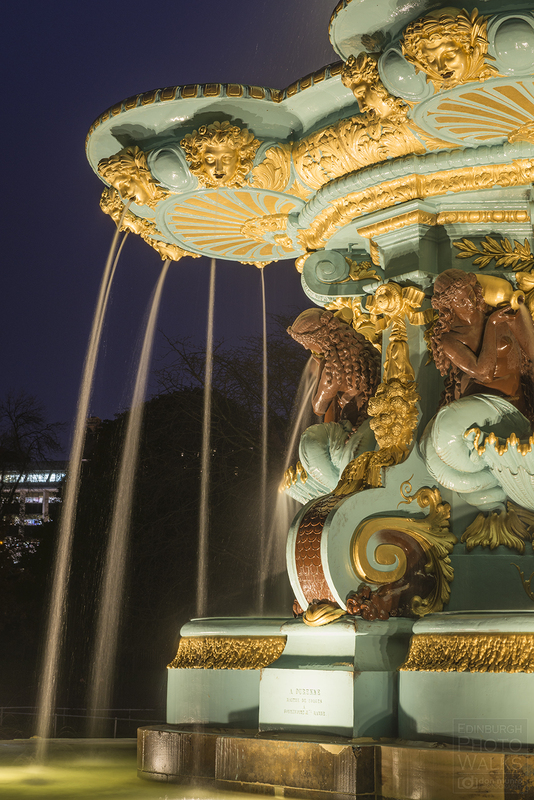 The Ross Fountain is located in the heart of Edinburgh within the beautiful West Princes Street Gardens. 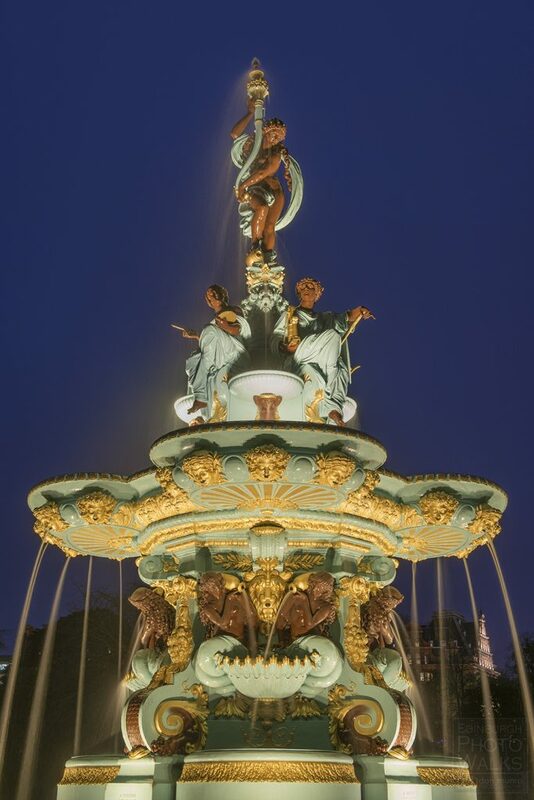 Sculpted by French artist Jean-Baptiste Jules Klagmann, this fountain is made from cast-iron and is a stunning example of 19th century sculpture. It was purchased by Scottish gunmaker Daniel Ross in 1862 for £2,000 after he saw the fountain in London at the Great Exhibition and described it as “obtaining universal admiration”. 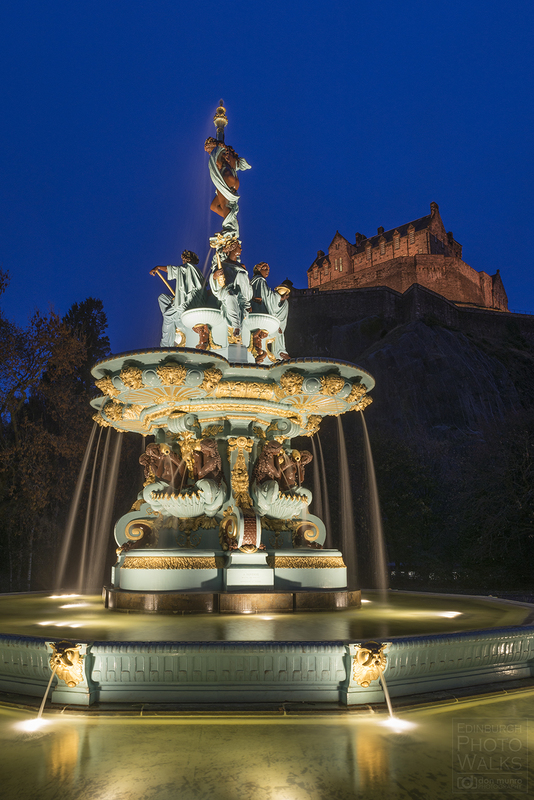 In 1869 Daniel Ross gifted the fountain to Edinburgh City and had the 122 pieces shipped to Leith where they would later be sent to Princes Street Gardens to be assembled. 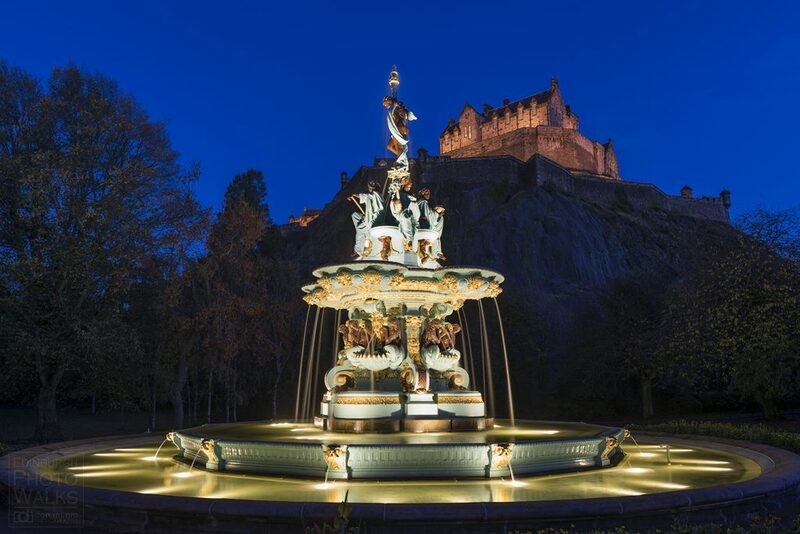 On Thursday the 1st of November, 2018, The Ross Fountain is, for the first time, glistening after dark as the new lighting was switched on. 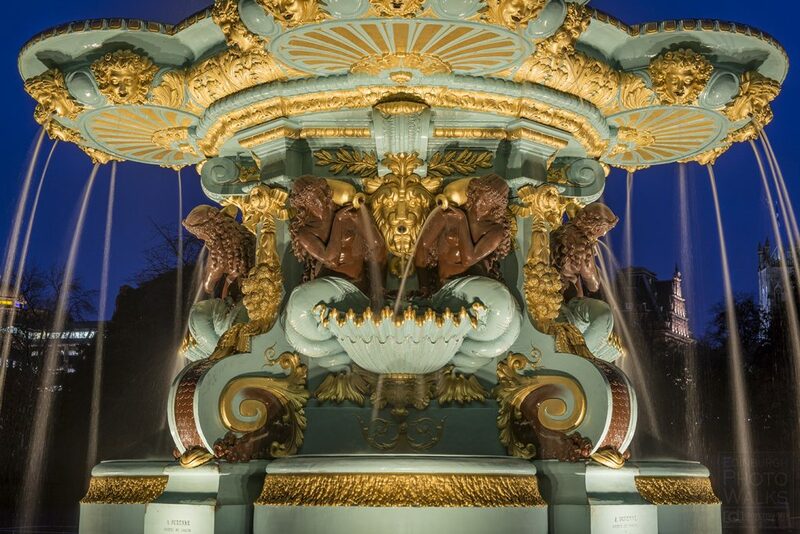 The recently restored water feature has now been fitted with a low energy, state of the art, waterproof LED system integral within the fountain pools which will project ripples as the water is moved by the wind, creating a shimmering effect after dark. The water supply was temporarily switched off on October the 1st to allow the works to take place ahead of the November the 1st switch on. 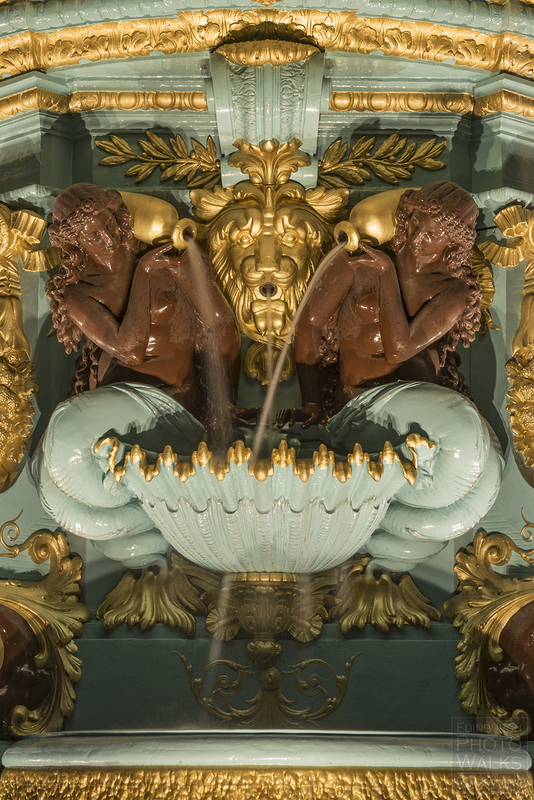 Water began flowing through the Fountain for the first time since 2010 when restoration works were completed by the Ross Development Trust on 8th of July, 2018. 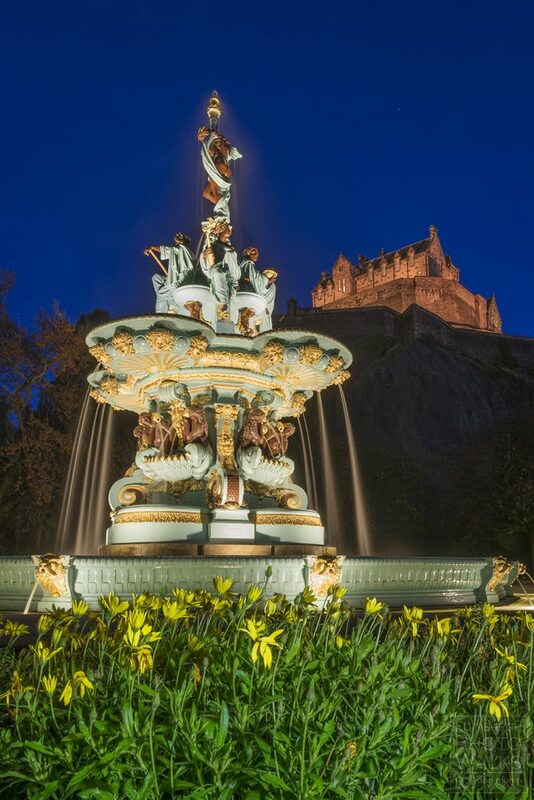 As a local Edinburgh based photographer I’m delighted to see the Ross Fountain back in position, fully working and returned to its former glory. The skill and craft that’s gone into this restoration are second to none. 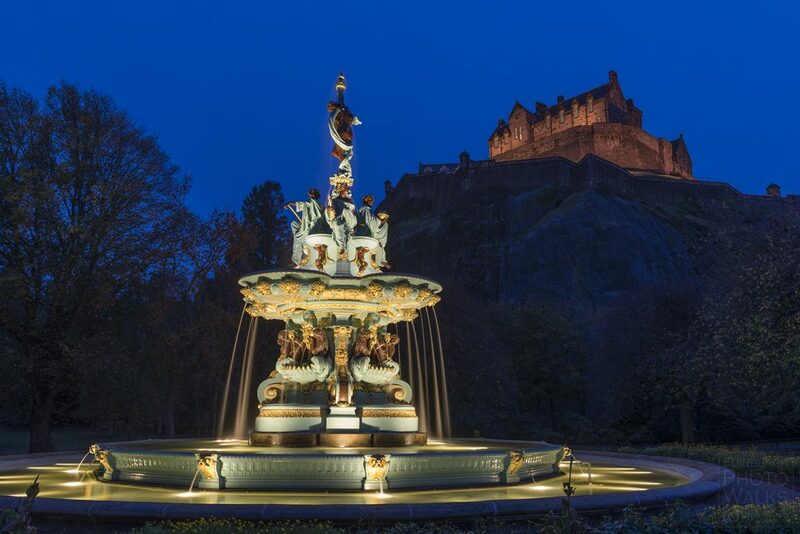 To have this beautifully restored fountain back in Princes Street Gardens is an asset to our city and something I hope many thousands of locals and visitors to our city will enjoy for many years to come. All images taken by Don Munro, owner and photographer at Edinburgh Photo Walks. If you’re interested in learning photography I run one-to-one and small group Photography Tours in Edinburgh throughout the year. Thank you for viewing this blog post, I hope you found it interesting.